Orange County is a diverse place where people born in the United States and those from a broad array of countries, alike, come to settle and to pursue the American Dream. These links to foreign countries means that investing in overseas or keeping some funds in overseas accounts for access while traveling is more common. However, some US taxpayers – including US citizens and green card holders – do not realize that holding foreign account may trigger additional reporting requirements. The failure to make these necessary disclosures can result in serious tax problems. These tax problems can result in fines that exceed the original account balance and other extremely harsh measures. In some instances, failure to comply with Report of Foreign Bank and Financial Accounts (FBAR) can lead to civil tax fraud charges or criminal tax evasion charges. When facing serious tax problems like these, do not go it alone or operate under the assumption that everything will just work out because you didn’t know about the FBAR requirements. Depending on how the IRS agent interprets your circumstances, what you say or admit may further exacerbate your tax problems. The dedicated tax professionals at The Brager Tax Law Group are dedicated to helping taxpayers in Orange County, and around the world, resolve their FBAR and other tax problems. If I Have Overseas Accounts, What Must I do to Remain Compliant With FBAR Requirements? If you are holding overseas financial accounts or if you have signature authority over similar account types you may have an FBAR reporting requirement due to provisions of the Bank Secrecy Act (BSA). The FBAR disclosure requirement is triggered when the balance or aggregate balance in one or more foreign accounts exceeds $10,000. Once a taxpayer’s foreign accounts exceed $10,000 in a tax year, and even if they only exceed the threshold temporarily, the taxpayer becomes obligated to file FBAR. This is accomplished by logging onto the Financial Crimes Enforcement Network’s BSA site where the taxpayer can complete FinCEN Form 114 (FBAR). The FBAR reporting requirement is linked to your status as a US taxpayer -- that is whether you are a citizen of the United States or a green card holder. While some taxpayers think differently and attempt to justify their compliance failures on this ground, your current or typical place of residence does not determine whether you have an FBAR requirement. This fact can be particularly vexing for expatriates who have settled outside of the US but who wish to maintain their citizenship. The Brager Tax Law Group can assist individuals in maintaining compliance with FBAR rules or making the necessary disclosures to correct tax problems and come back into compliance. What are the Penalties That can be Imposed for an FBAR Disclosure Failure? Failure to make FBAR disclosures can result in the imposition of fines and other serious penalties. A non-willful violation of the reporting obligation can be punished by a $10,000 fine for each undisclosed account for each year it went undisclosed. Thus, if you have 3 accounts that triggered a reporting requirement and none of the accounts were disclosed, you could face penalties of $30,000 a year for three years, totaling $90,000. If your violation is perceived to be willful by the IRS, they are likely to seek harsher penalties. A willful violation is defined as an intentional or voluntary violation of a known legal duty. An FBAR violation of this type can be punished by a civil fine equaling the greater of $100,000 or 50% of the account balance per every year where the account was in violation. Furthermore, those individuals required to make FBAR disclosures must keep certain financial records for at least, 5 years. Failure to do so can result in criminal tax charges under 31 C.F.R. § 103.32 (Records to be made and retained by persons having financial interests in foreign financial accounts). Offshore Voluntary Disclosure Programs offered by the IRS have allowed thousands of taxpayers to resolve their FBAR compliance concerns. However, if you delay taking action and come under investigation, these programs will no longer be available to you. Furthermore, if your bank is publicly identified by the IRS before you take action to resolve your disclosure issues you will face higher penalties than you otherwise would have. 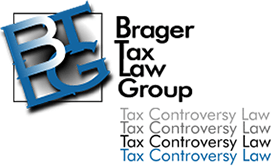 The tax professionals of the Brager Tax Law Group are dedicated to finding solutions for complex tax problems. To discuss your concerns with an experienced tax lawyer call (800) 380-TAX LITIGATOR or contact us online today.